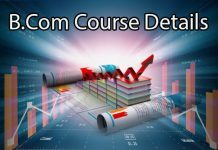 BCA Course Details - Eligibility, Fee, Duration, Syllabus, Jobs, Salary and etc. BCA is nothing but the Bachelor of Computer Applications. BCA is an undergraduate Information technology course. It is quite similar to the traditional B.SC program. And this BCA course is most popular course among students who want to settle their career in IT field. Nowadays IT industry is increasing day by day in India. More and more opportunities are created for computer background students by theses IT industries. BCA is a 3-year graduation degree course after 10+2. 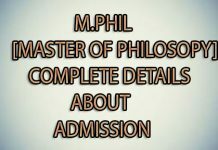 Here in this posting, you will come to know BCA Course Details about Eligibility, Fee, Duration, Syllabus, Colleges, Salary and etc. We can say that students who are having 18 years minimum are eligible for this BCA course. The academic qualification is 10+2 which students have to complete their intermediate in background subjects of physics, chemistry, and maths with a minimum percentage of 55. 17 is the minimum age to apply and 22-25 is the maximum age for doing BCA course. After the successful completion of 10+2 students have to undergo 3years to complete this BCA course. 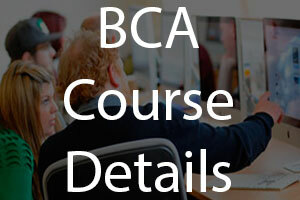 The BCA course fee varies from colleges to colleges and universities to universities. Usually, the BCA course fee ranges from 1.5 Lakh INR to 6 Lakh INR for total 3years (6 semesters). 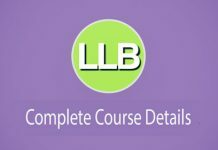 In a big MNC, a computer professional can easily get an initial package of Rs. 25,000 to Rs. 40,000 per month. The average monthly salary for a fresher student offered to a BCA graduate ranges between 20,000 to 25,000 INR. Hope this article is helpful for the interested candidates to study BCA course and to know about this BCA course.